Escape the urban bustle at La Hotte du Diable and Ile Saint-Louis. Explore hidden gems such as Le Marais and Saint Germain des Pres Quarter. There's lots more to do: step off the mainland to explore Île de la Cité, admire the landmark architecture of Cathédrale Notre-Dame de Paris, steep yourself in history at Arc de Triomphe, and explore the world behind art at Louvre Museum. To see where to stay, other places to visit, traveler tips, and tourist information, read Paris day trip site . If you are flying in from United States, the closest major airports are Paris-Orly Airport, Charles de Gaulle International Airport and Paris Beauvais Tillé Airport. 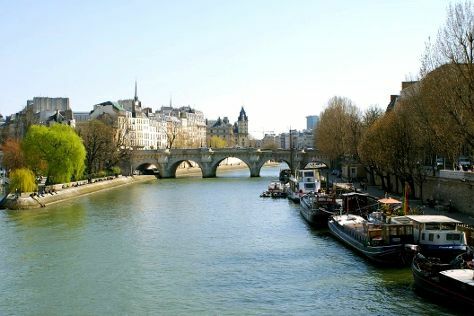 In June, daily temperatures in Paris can reach 74°F, while at night they dip to 55°F. Finish your sightseeing early on the 2nd (Tue) so you can travel back home.